Lifestyle » Free Yourself From What’s Holding You Back! Today we’re celebrating Independence Day in the U.S. and it got us thinking about how to create more freedom in our own lives. We all have goals and dreams we’d love to accomplish, but all too often, we talk ourselves out of going after them. Maybe we’re afraid of failing or we’re worried we don’t have all the answers yet. Maybe we don’t think we can find the time and money to make it happen. Would it be okay with me if my life were to continue on its current path? If your answer to this question is no, then you’re ready to explore what it would mean to change your life so that you have more freedom to do things that make you feel happy and alive! At HCI, we believe the way to true happiness is to find the freedom to do what makes you feel alive. 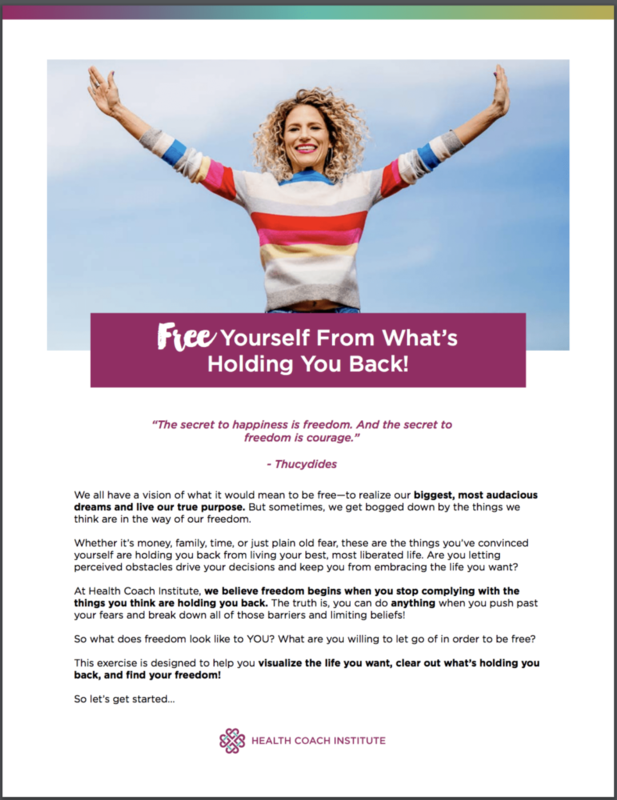 In the spirit of that freedom, we’ve created a download to help you break free from what’s holding you back so you can live your wildest dreams! The five exercises you’ll find in the download below are designed to help you visualize the life you want, break through what’s holding you back, and make a plan so you can chase your biggest, most audacious dreams and live your true purpose!